I read this article and found it very interesting, thought it might be something for you. The article is called Audio: Various Artists – A Litany of Failures, Vol. II and is located at https://www.totallydublin.ie/music/music-features/audio-various-artists-a-litany-of-failures-vol-ii/. Returning with a second installment of undersung independent bands across the country, A Litany of Failures, Vol. II showcases Ireland’s thriving music scene. A plethora of genres are covered across eighteen glorious tracks, catering to fans of punk, psychedelic-rock, slacker indie and everything in-between. The compilation merges bands who have developed a devout following in recent years with acts still finding their place within the bustling soundscape. A mixture of polished production and bedroom recording captures the essence of the diversity amongst the Irish music scene in 2018, acquainting audiences with the new names generating a buzz. A diverse array of influences can be traced throughout the bands, with That Snaake incorporating Girl Band levels of noise and intensity while also offering quieter moments with lo-fi indie instrumentation, akin to Happyness or Mac DeMarco, on Field Trips’ sweet summery sound. This sonic buoyancy continues into glimmering tracks by Postcard Versions; their debut single, Sunday Morning With Nate, is an excellent introduction to the endearing Dublin band. Elsewhere, established acts Shrug Life and No Monster Club continue to cement their cult status in the capital. Other highlights include Belfast’s Junk Drawer’s wistful indie-rock, which warrants repeated listens, as does Hot Cops’ first new release in two years. 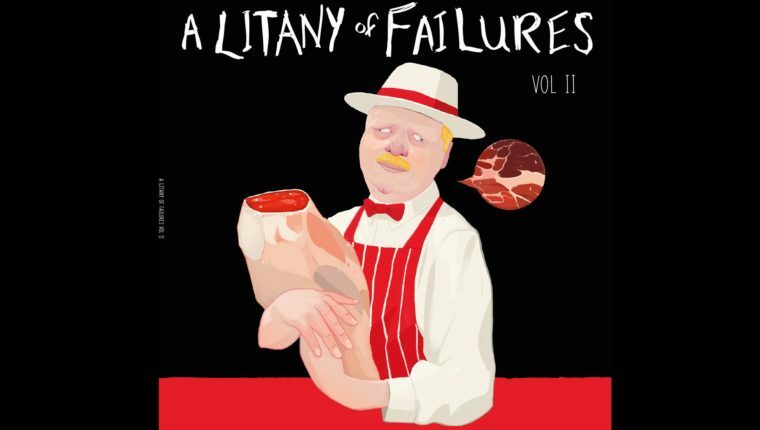 A Litany of Failures, Vol II is essential listening for anyone with an enthusiasm for local talent that have honed idiosyncratic styles early in their respective trajectories.